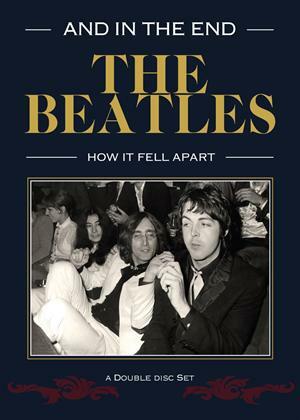 While the background and formation of The Beatles has been documented to a quite extraordinary extent, the group s demise and break-up has had nothing like the amount of coverage, and much of what does exist has often been the been the subject of conjecture, presumption and convenient but lazy one-line explanations, of the; Yoko Split Up The Beatles or Paul found Linda so dumped John variety. And what makes such dubious proclamations even more frustrating is that, on occasion, the facetious comments have come from the mouths of the groups own members. This 2 film set does not attempt to address this lack of clarity - most enthusiasts are by now well aware that no single event caused the beak-up, but that it came about via a long period of transition - instead it provides a new look at the second half of the Beatles career, from the point at which Brian Epstein tragically passed on, to the morning of 31st December 1970, when Paul McCartney filed a lawsuit against the other three in London's High Court for dissolution of the Beatles' contractual partnership. Taking events in a uniquely objective manner and without the constraint of chronology, this film collection develops many new and previously unheard opinions and backs them up with the newest research, the rarest footage and the finest production values yet to grace a Beatles documentary.